Many times, nurses are salary capped at their level and the only way to increase their pay is to pick up a new specialty. Prof-Ed offers unique specialty training towards certification in routine foot care. The ‘Boomers have passed the threshold of “elderly” (past age 65) and are not as nimble in their own foot care. The number of Americans with chronic illness is increasing – per the CDC, more than half of those over 65 have at least one chronic illness and their foot care must be appropriate for their health considerations. Our level of colonization for pathogens is higher than ever. With “super bugs” resistant to traditional treatments, infection control must be impeccable….beyond what is typical in a salon in the mall. This creates a perfect opportunity for nurses who can provide this vital care for their patients. However, most facilities cannot allow nurses to address the feet of their patients unless they are trained and certified in proper routine foot care (RFC) protocols. What is RFC? Per Medicare it is comprised of the following tasks: trimming and thinning down thickened toe nails, reducing excess callus (debridement) and applying therapeutic moisture. These tasks are will within the scope of practice for nurses who are properly trained. Without a doubt, you, as a nurse, have seen examples of patients who really needed RFC, but were unable to assist them. This could be changed, and the best part is that you could pick up another specialization….and perhaps a raise! https://www.prof-ed.com/wp-content/uploads/2018/12/Fotolia_93660553_M.jpg 1125 1688 Prof Ed https://www.prof-ed.com/wp-content/uploads/2016/11/professional-education-300x138.jpg Prof Ed2018-12-22 18:29:302018-12-22 18:37:19Are You Salary Capped? After specialized foot care training, nurses can set up boutique practices to tend to the growing demographic of elderly and chronically ill patients who need safe, healthy foot care. The U.S. Dept. of Health and Human Services (HHS) announced in April, 2018, in the final 2019 Notice of Benefit and Payment Parameters the rules will change requiring certain health plans to cover “essential health benefits” (EHBs). These changes mean states and insurance providers can redefine what coverage will be allowed for those living with diagnosed pre-existing conditions, including diabetes. It is likely foot care benefits will be further reduced for those living with chronic conditions such as diabetes, and these patients will be forced to pay for this important care. 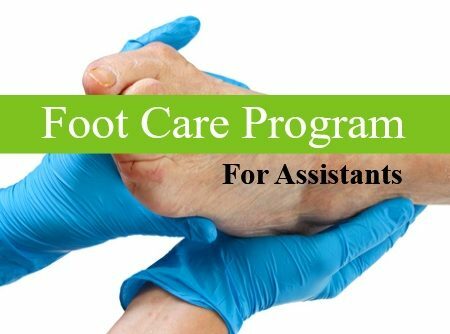 As an alternative to high costs in hospitals and medical offices for this care, RNs will be able to meet these needs for routine foot care for the chronically ill in independent boutique foot care businesses as per their state Nurse Practice Guidelines. 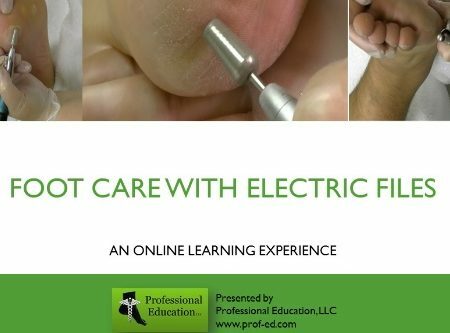 To meet this growing demand for foot care, Professional Education announces the creation of a dynamic online 5-module course, Strategies for Entrepreneurial Nurses. This program guides nurses in the steps necessary for setting up boutique nursing care businesses and offers important marketing and business strategies in a track toward success. The course was written for nurses who have the expertise to provide safe routine foot care for their patients, however, any niche nursing specialty could benefit from this guidance. The Strategies Program solves the problem of “no prior business training” for these new entrepreneurs. It provides them the information they need in setting up a business specializing in foot care, ensuring higher success and efficiency in their practice and smoothing out potential bumps in the road to success. Time-lines, check lists, equipment lists, and much more are provided to support efficient set up of their businesses. A myriad of considerations for establishing a new business are included along with the necessary business information they were never offered in traditional nursing training. 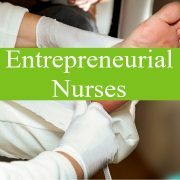 Strategies for Entrepreneurial Nurses is available on the cutting-edge online educational platform at www.Prof-Ed.com. Professional Education (www.Prof-Ed.com) also has created comprehensive preparatory course, s for both the RN and the LPN/LVN level which meet the qualifications necessary for both the CFCN® and the CFCS® certifications. For further information, see www.prof-ed.com or call 863-273-9134. Professional Education cares about the privacy and security of all the users of the website. 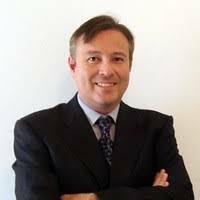 The website itself is hosted on robustly-protected, secured servers owned by web design and development guru, Claudio Barbieri, Page1 Ranking of Cape Coral, Florida. Prof-Ed is excited to launch a new training program chock-full of strategies, processes and techniques for establishing yourself in a boutique nursing practice. Are you tired of “clocking in” for an institution? Hate begging for time off and getting cheated out of holidays you were supposed to spend with your family? Ever dream of “being your own boss?” What if you could set your own schedule and block out time off when you needed it? What if your work could be targeted for the specific types of patients you want to work with? Can you imagine work that isn’t 3/4 paperwork and meetings and 1/4 patient care, but more time spent doing what you really want to do…taking care of people? 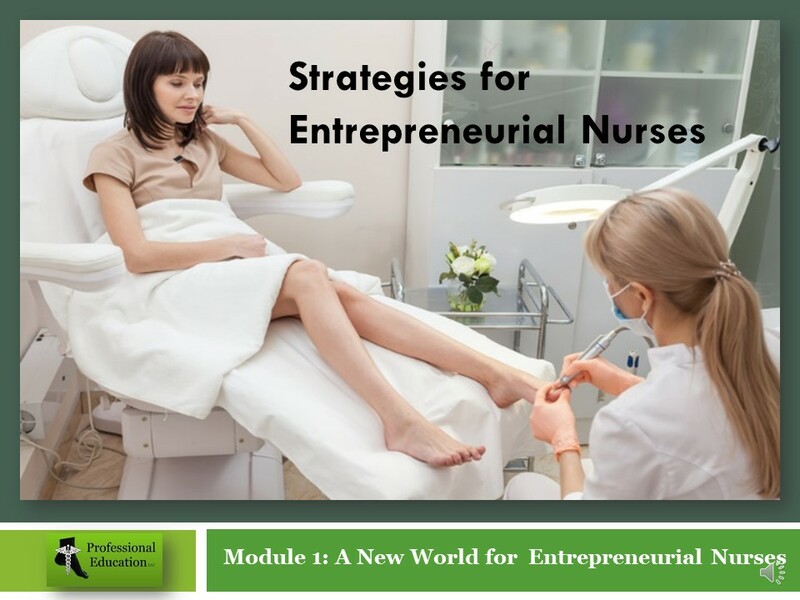 Strategies for Entrepreneurial Nurses is a 5-module program that will answer many questions you would face in determining whether you wish to pursue an independent nurse practice, and if so, how to go about setting one up efficiently. Module 1: A New World for Entrepreneurial Nurses – a discussion of the evolving need for non-traditional health care and how nurses can take advantage of a growing population segment. Module 2: Setting up Your Practice – discussion, illustrations, photographs, checklists and more to help you in your planning, licensing and budgeting process. Module 3: New Marketing Strategies – tried and true techniques for creating referral networks in your community, including winning over medical practitioners who need support for routine “healthy” care, creating physician extenders which allow them to focus on patients with greater needs. Module 4: Growing Your Business – effective internal and external marketing techniques which will help you attract your desired patient demographic. Module 5: Resources for Entrepreneurial Nurses – suggestions on how to find good vendors, examples of collateral materials with proven track records, sample forms, and much more. As a bonus, the purchase of this course includes 2 hours of consultation with our experts who have years of setting up successful and flourishing boutique businesses. You tell us what area of expertise you need and we will be happy to speak with you about your unique potential. The course is live and available now. 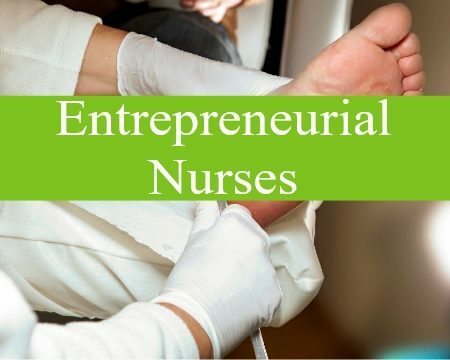 Click here to learn more Strategies for Entrepreneurial Nurses. The primary cause for deeply dehydrated hands comes from washing and the immediate application of alcohol-based sanitizers. This is part of the job, BUT you can take steps to help alleviate the worst conditions. According to OSHA, employees must be allowed to wear protective equipment such as glove liners to prevent injury. Look for cotton glove liners to slip on under your exam glove. They will absorb excess perspiration, part of the reason, the skin leaches natural oils. Give your hands a deeply hydrating slather of a good water-based cream or lotion, then slip on a pair of gloves or mitts designed to penetrate the moisture. These can be heated. There are soy-based mitts that can be warmed just for this treatment available in your drug store. Rather than listing a product, here are some ingredients to look for. 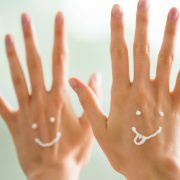 If your hands are dry…they are dehydrated…they need water, not oils. 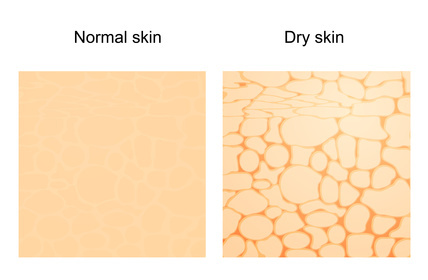 So look for moisturizers with a first ingredient of WATER….not an oil or petroleum-based product. Other ingredients that will help are: Urea or uric acid – helps bind moisture to the cells in the epidermal layer. Another “binding” agent is hyaluronic acid (HA) which has the miraculous chemistry of being able to bind up to 1000 x its own molecular weight in water. Also look for exfoliative ingredients such as AHAs – alpha hydroxy acids–good ones are lactic acid or malic acid; or BHAs – beta hydroxy acids such as citric acid or salicylic acid. You also need an occlusive ingredient to lock it all in place – a botanical-based emollient such as shea butter, coconut oil or any distilled oils that sound like they’d be good on a salad will be good for your skin: safflower oil, avocado oil, wheat germ oil, etc. Mixing your own products is a shot-gun approach—better to get properly formulated products, avoiding non-essential ingredients such as fragrance, dyes, and unneeded waxes. The biggest repair you can invoke – is to avoid over-immersion in water and its leaching effects in the first place. https://www.prof-ed.com/wp-content/uploads/2017/10/Fotolia_126932118_S.jpg 566 848 Prof Ed https://www.prof-ed.com/wp-content/uploads/2016/11/professional-education-300x138.jpg Prof Ed2017-10-20 16:18:502019-01-08 17:37:31Nurses--Make Your Hands Happy! Peripheral artery disease (PAD), sometimes called Peripheral Vascular Disease (PVD), is a disease in which plaque may build up in the arteries outside the heart that carry blood to the head, organs, and limbs. This plaque is made up of fat, cholesterol, calcium, fibrous tissue, and other substances in the blood. 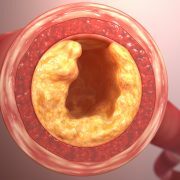 When it builds up in the arteries, the condition is called atherosclerosis. Unless prevented or treated, plaque can narrow the flow of blood in the arteries. According to the CDC, PAD can be asymptomatic, causing a dangerous situation for sufferers as it can lead to coronary artery disease and cerebrovascular disease, which could lead to a heart attack or stroke. For this reason, patients with risk factors should be tested for PAD to allow early diagnosis of the disease, if it is present. Foot Care Nurses must be fully educated about this disease. Studies show that about half the cases remain unrecognized, allowing a high risk of ischemic events in the future of these patients. Therefore, if a patient has pain, numbness, aching, or heaviness in the leg muscles (possibly claudication) with exertion which is relieved with rest, it’s time for a complete exam and to test of PAD. In patients with these symptoms, the ankle-brachial index (ABI) is indicated. It’s a simple and quick, non-invasive test that measures the blood pressure in the ankles and compares it with the blood pressure in the arms at rest and after exercise. If the ABI is <0.9, the patient must be immediately referred to a vascular specialist. This physician will prescribe imaging tests such as a Doppler ultrasound, magnetic resonance angiography (MRA), and computed tomographic (CT) angiography. These tests provide additional information in diagnosing PAD. Conclusion: Foot Care Nurses with knowledge of PAD can save lives through responsible practices. If a patient 1) has symptoms that indicate PAD or 2) has the risk factors for PAD, the FCN must conduct an ABI. This test will determine potentials for the presence of PAD and whether he or she should be referred to a specialist. 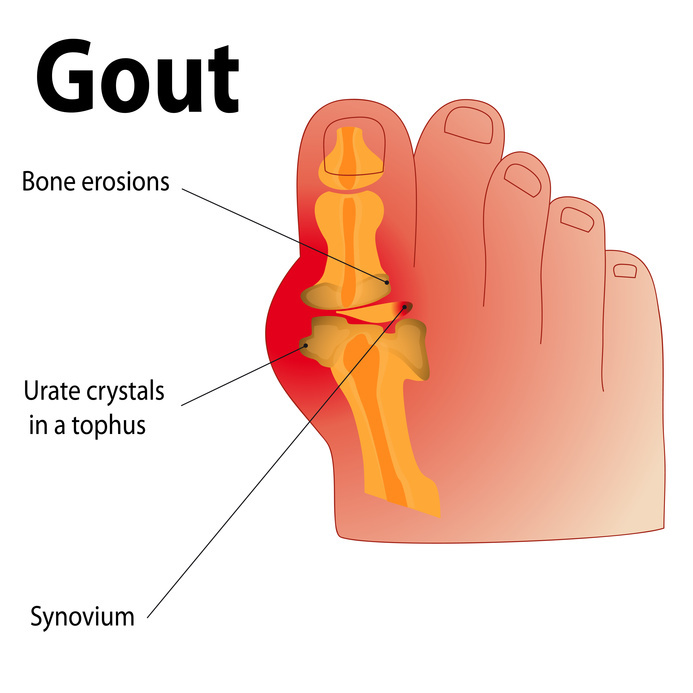 Gout is one of the fastest growing arthritic illnesses in the United States. It is very painful and is difficult to treat. Caused by the imbalance of uric acid in the joints, one of the most affected joints in Gout is the hallux. Foot Care Nurses will see patients who have this form of arthritis. In many cases it can be successfully managed through dietary changes. FCNs must know the dietary changes that will manage this disease and then educate their gout-suffering patients on these tactics. The most effective dietary change is reducing the amount of uric acid levels; this will reduce the number of attacks. These blogs are written for the consumer but are excellent education for Foot Care Nurses to pass on to their suffering patients. 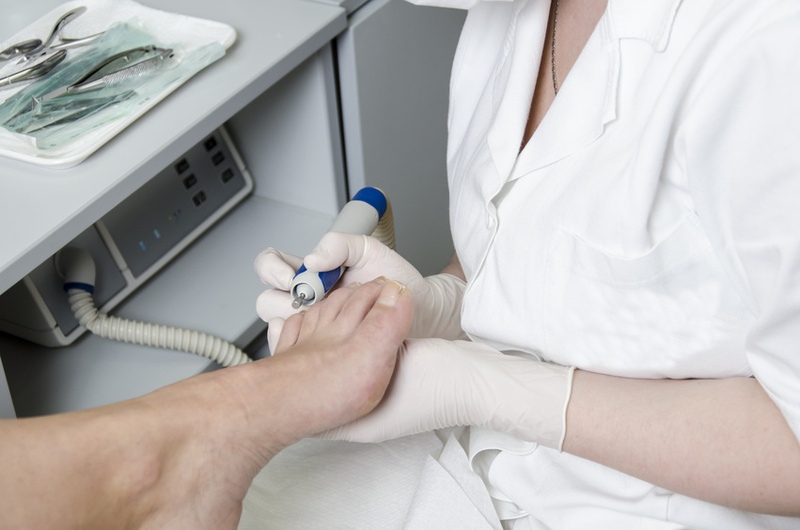 Nurses who provide foot care for their patients need electric filing skills. Tending to your patients requires manual dexterity–and a smart nurse will use all the tools available. Hand-held rotary devices (aka electric files or e-files) are just one of those tools…but they have many benefits. First and most logically, perhaps, is that any time you are reducing the thickness of a thickened nail or taking down excess callus, using a specialized abrasive will be faster. Targeting a specific area with a properly braced abrasive can allow quick, yet comfortable, reduction of excess nail or callus. Something you might not have thought of, is that taking down callus or thickened nails can be safer with an electric file. There is the opportunity for injury with any hand-held implement–whether a hand-held file or an electric machine–but it is easier to safely confine the abrasive surface to the desired area if the hand is still, rather than moving back and forth with manual debridement. Another benefit to an electric file is the longevity of your career. Repetitive movement stress on your shoulder, elbow, wrists, etc. can be reduced greatly by using an electric file. Learning to safely use an electric file is first, learning about your machine and the bits or burrs, and secondly, learning a safe way to practice. One of the best things to do is to take a training course that breaks down the machine, its parts and the burrs, and then practice on yourself. You will quickly learn what the “ouch” factor is if you abrade your own callused area too long and heat it up! Professional Education’s course not only teaches you all the moving parts, but it also shows you some practice techniques you can set up for yourself. The videos embedded in the course show a couple of grips to hold the hand piece as well as demonstrate several specific tasks the electric file can help you safely, quickly perform. One of the cruelties of Diabetes Mellitus is that the people who are at most risk are often hurt the worst because they have lost sensation in their extremities. Neuropathy manifests not only with burning/tingling/itching “phantom” pain, but many times with complete loss of sensation. Neuropathy can allow injuries to go unnoticed, and therefore untreated–often times past the point of recovery in the wounded area. The best possible scenario for a diabetic is that the skin is never broken or otherwise traumatized. This means safe, careful care of the body, but especially the feet. Why are the feet any different than any other body part? Because the sheer distance away from the core means reduced circulation and less oxygen, nutrients and waste removal is happening. Wound management is simply different for the feet than any other area of the body. In a survey of nursing textbooks, foot care was barely addressed–maybe a few paragraphs–a page or two at the best. Yet nurses are the front-line foot care providers for many patients. They see the patients before the doctor ever walks in the room and are more likely to hear complaints of foot pain. They provide the primary care for many patients–including providing Routine Foot Care. As defined by Medicare, Routine Foot Care (RFC) includes tasks such as cutting or removal of corns and calluses, the trimming, cutting, and clipping of nails, or hygienic or other preventive maintenance, including cleaning and soaking the feet. Many times these tasks are performed by nurses, allocating the doctors’ time spent with the patient to more pressing health issues. RFC may be a very simple task under ordinary circumstances; however, when there is the presence of a chronic illness, especially one which impedes healing, the risks associated with little “nips” or “cuts” during procedures become overwhelming. (1)CDC Review Preventing foot ulcers in patients with diabetes Singh N, Armstrong DG, Lipsky BA JAMA. 2005 Jan 12; 293(2):217-28. What do Chronic Illnesses Mean for Your Patients’? How do these chronic illnesses affect the feet and lower legs of your patients? The CDC, World Health Organization and countless others exert a lot of effort estimating the impact of chronic illnesses on today’s world population. How do these issues affect you and your patients? One direct impact is the care of their feet. Routine Foot Care – is defined by Medicare as the activities of trimming of nails, thinning thickened nails, reducing excess calluses and application of moisture. These routine acts are often impossible for your patients to perform for themselves….they need your help! Did you know there are nurses who are trained to safely perform the activities of Routine Foot Care (RFC)…and more! They are trained to recognize any out-of-normal conditions of the feet and lower legs and make appropriate referrals to physicians when needed. YOU could become one of these nurses. 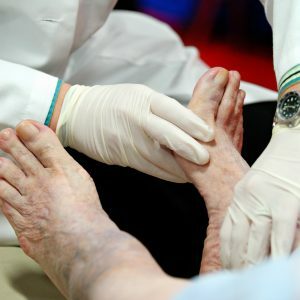 Often nurses in long term care facilities, home care employment and even floor nurses are the ones responsible for seeing to the feet and nails of their patients. If you are not well-trained and confident in your skills, you might put this type of care off as long as possible…which could be dangerous to a patient. 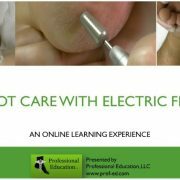 Taking an online course is an excellent introduction to the process of becoming certified in foot care. Wound Care – is a discipline unto itself. All nurses must be capable of working with wounds, but wounds of the lower extremities have real differences in their healing process. Do you know what is different about wounds of the feet? What should you be aware of when working with a foot ulcer? Are you familiar with the various off-loading therapeutic appliances? These are topics that are covered in Prof-Ed’s courses. Neuropathy – is a common side affect of both diabetes and PAD. Did you know not all manifestations of neuropathy are alike? It’s a continuum…from small occasional twinges of sharp pains or “pins and needles” through shooting pains all the way to complete constant burning. And then there’s the loss of sensation…from spots of inability to feel temperature differences to occasional numbness to complete loss feeling of any kind. It’s both too much sensation and not enough sensation. Do you know the various assessment tools for determining LOPS (Loss of Protective Sensation)? Helping your patients understand what their neuropathic symptoms mean for their lives is vital. Foot Care Specialty – is a valuable commodity for your career. The need for this specific skill set is huge…and growing as the “Boomers” are aging. Approximately 25% of Americans have been identified as “Baby Boomers.” This is a huge patient demographic…and they will need help with their feet! Get yourself trained and ready to meet the demand. https://www.prof-ed.com/wp-content/uploads/2014/08/slide-pic-1.jpg 641 1119 Prof Ed https://www.prof-ed.com/wp-content/uploads/2016/11/professional-education-300x138.jpg Prof Ed2016-07-02 15:35:372017-09-21 15:49:06What do Chronic Illnesses Mean for Your Patients'? The CDC estimates that 29.1 million people or 9.3% of the population have diabetes. A Certified Foot Care Nurse (CFCN®) is a Licensed Registered Nurse (BSN) who has accomplished advanced training in foot assessment and care of the feet, fulfilled an internship focusing on care of the feet and passed a comprehensive exam to prove knowledge of the information. This certification is granted by the Wound Ostemy and Continence Nursing Certification Board (WOCNCB). WHO CAN BE A CFCS®? 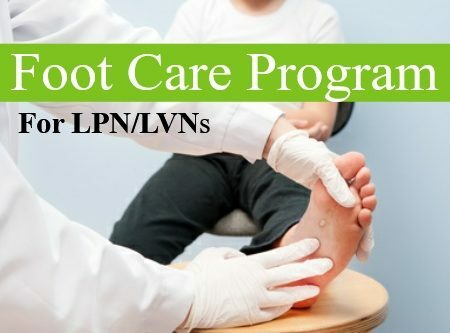 The American Foot Care Nurses Association grants credentials as a Certified Foot Care Specialist (CFCS®) to LPN/LVN, RN, BSN, NP, DNP, PT, DPT license holders who have completed advanced education in foot care, a hands-on proctored internship and a comprehensive exam to demonstrate their knowledge of assessment and care of the feet. The CDC estimates that 79% of Americans over the age of 55 have 1+ chronic illnesses: including Diabetes, heart conditions and circulatory conditions such as PAD or PVD, all of which can lead to complications in foot health.